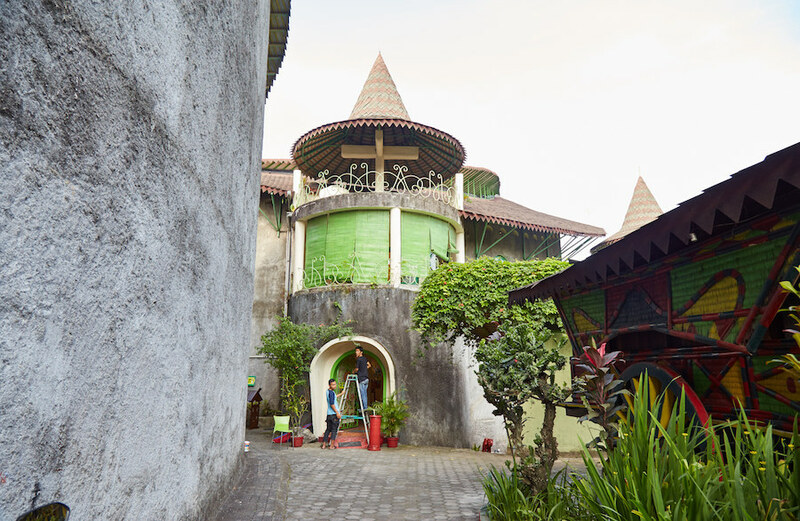 Yogyakarta has long been Indonesia’s most important creative hub. 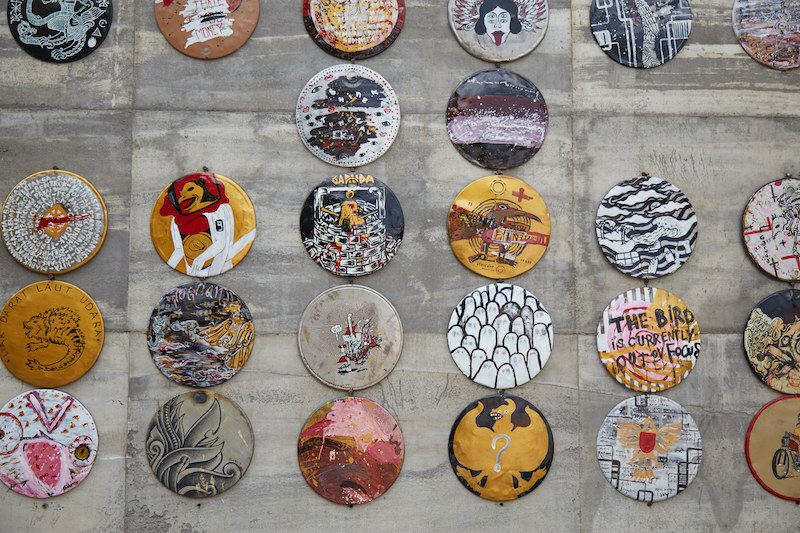 Today, the city is one of the best places in all of Asia to experience contemporary art. 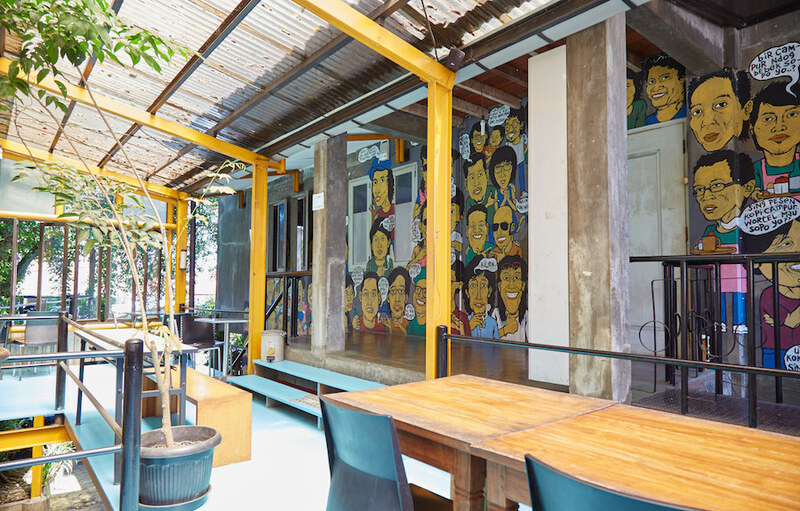 Yogyakarta, also known as Jogja, has an abundance of free art spaces you can explore during your time in the city. I made a visit to each of these during my time in Jogja, but wasn’t able to enter all of them. It was just before the annual ArtJog festival and a number of spaces were closed in preparation for special projects. Furthermore, I was constantly learning of new art spaces, either through flyers or via word of mouth, and I simply did not have enough time to visit them all. 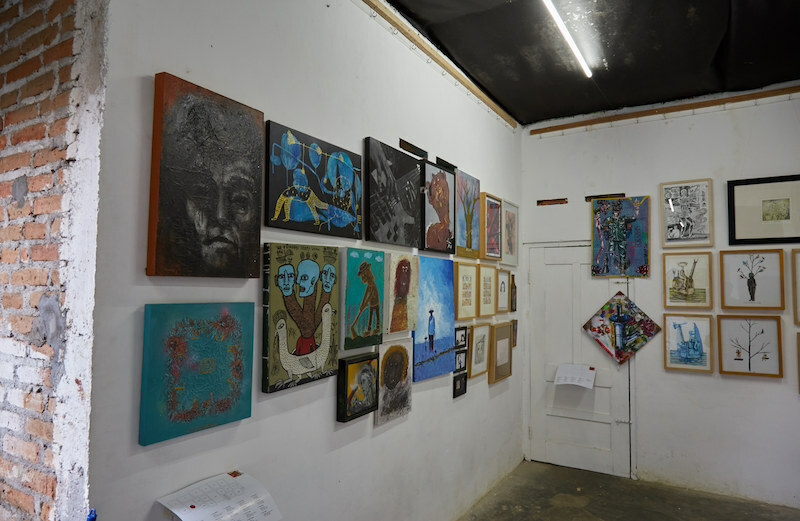 Nevertheless, below is a list of the art spaces which are widely considered to be the city’s best. 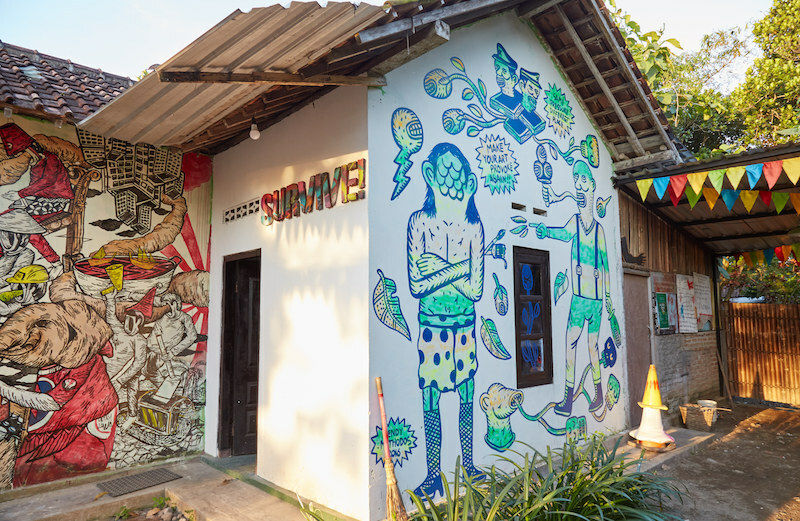 I’m already looking forward to going back to Jogja to see the art spaces I missed and re-visit my personal favorites: Sangkring, Survive! Garage and Kersan Art Studio. The list below is divided into three areas (South, West and North) – all relative to the sultan’s palace, or kraton, which is situated exactly in the center of the city. While the map above will guide you to all the galleries listed in this article, one thing you’ll want to search for as soon as you arrive in the city is the ‘Yogyakarta Contemporary Art Map.’ Created by local artist Yudha Sandy, this convenient hand-drawn map includes just about every art space in the city, from large museums to small galleries. 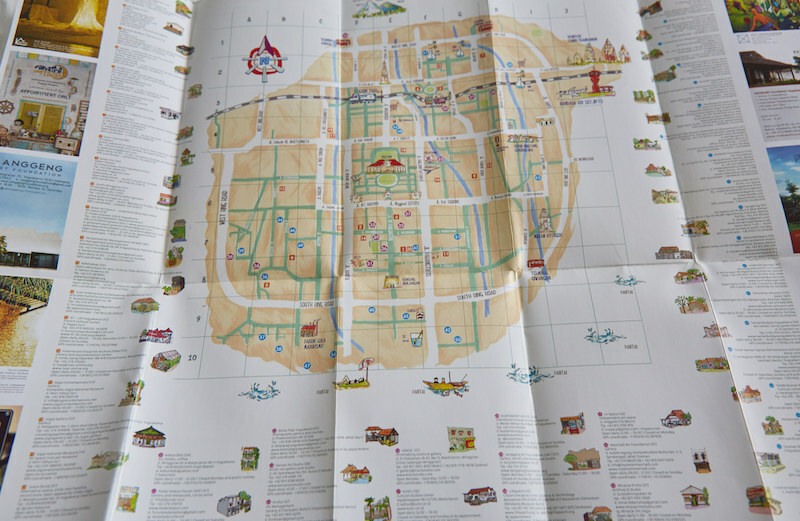 The only downside is that the number of spaces listed can be overwhelming, and there’s not much information about each place to help you decide what to see. That’s why I hope the list below will also come in handy during your time in the city, as up-to-date English information about the city’s ever-changing art landscape can be hard to find online. 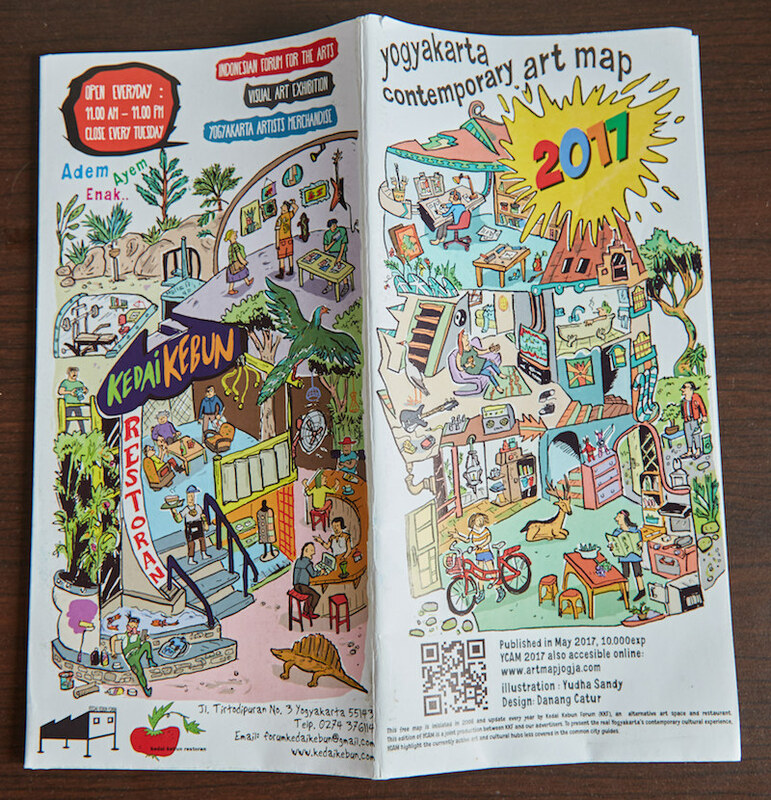 You can find a copy of the free art map at Kedai Kebun or the jewelry shop just next to Cemeti Art House, among other places. 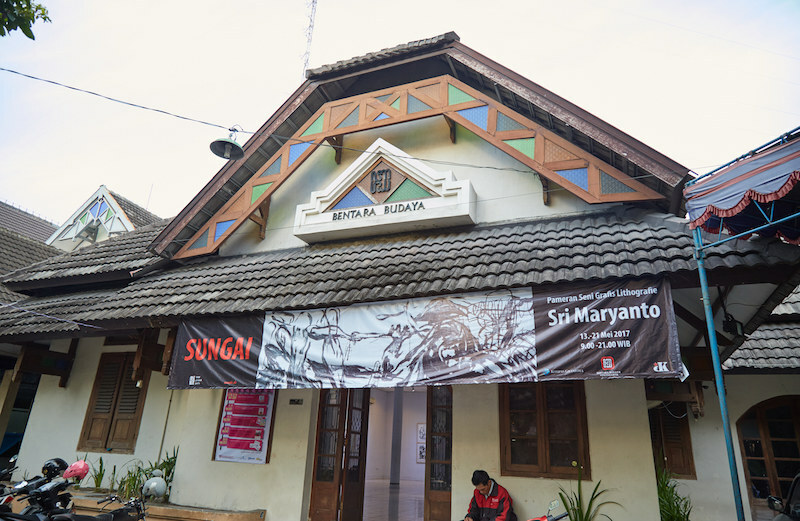 Also known as the Mantrijeron neighborhood, this southern Jogja district is home to many of the city’s oldest and most prestigious art spaces. As an added bonus, it’s also one of the best places to check out some of Yogyakarta’s wildest street art. As there are plenty of accommodation options in the area, Mantrijeron is where you should consider basing yourself during your time in Jogja. When I first walked past Ace House Collective, I had to double check my map to make sure I was in the right place. What I saw looked like workers renovating a convenience store rather than one of the city’s most well-known galleries. “Acemart,” it turns out, is just one of the crew’s many tongue-in-cheek projects. Situated in a residential district, the collective hopes the space can encourage engagement with local residents who may not normally be the type to visit art galleries. Unfortunately during my visit, the crew were busy setting up for an ArtJog event so it wasn’t possible to get a closer look inside. Just next door is a custom T-shirt gallery called Juara Dunia. Yogyakarta, by the way, is a t-shirt lover’s paradise. 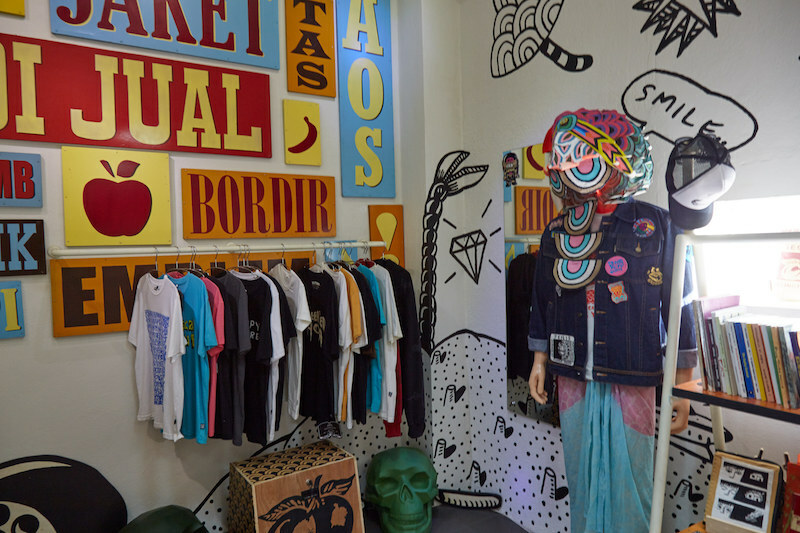 Juara Dunia is just one of many spaces in the city to pick up t-shirts designed by local artists. As most of the merchandise can’t be purchased online, you can be sure that you’re picking up something truly rare. Also nearby on Jl. Mangkuyudan is the base of the MES 56, one of the city’s most prominent photography collectives. Ark Galerie was founded in 2007. 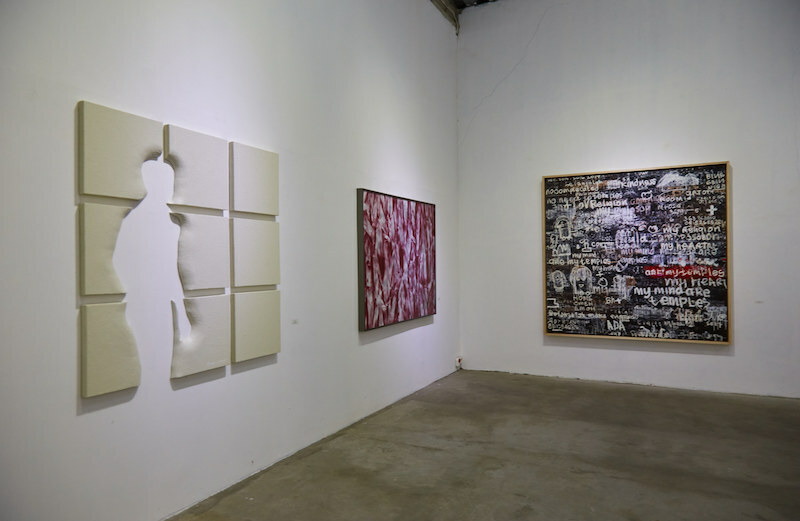 They space is associated with a number of experimental artists whose mediums include painting, video and dance. 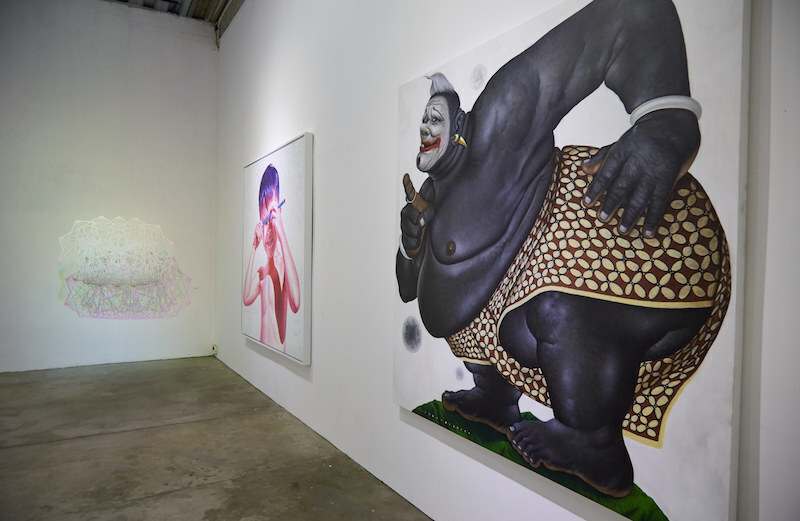 Many of their exhibitions are focused on a different social message. I was unfortunately unable to enter during my visit due to preparations happening for ArtJog. 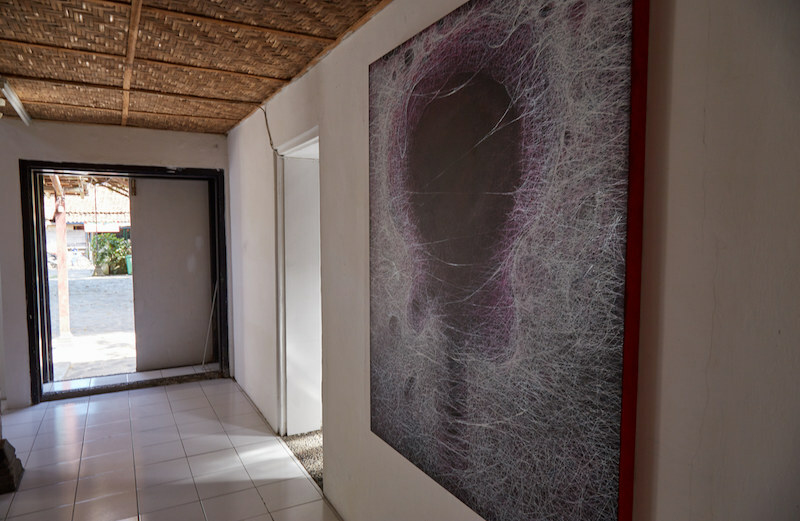 Cemeti Art House is one of the oldest and most respected art spaces in the city. It was founded in 1988 and was one of the first galleries to help develop the careers of young artists, rather than merely provide a physical space for their art. Founded by a Dutch-Indonesian couple, Cemeti was also one of the first collectives to promote Indonesian artists abroad. 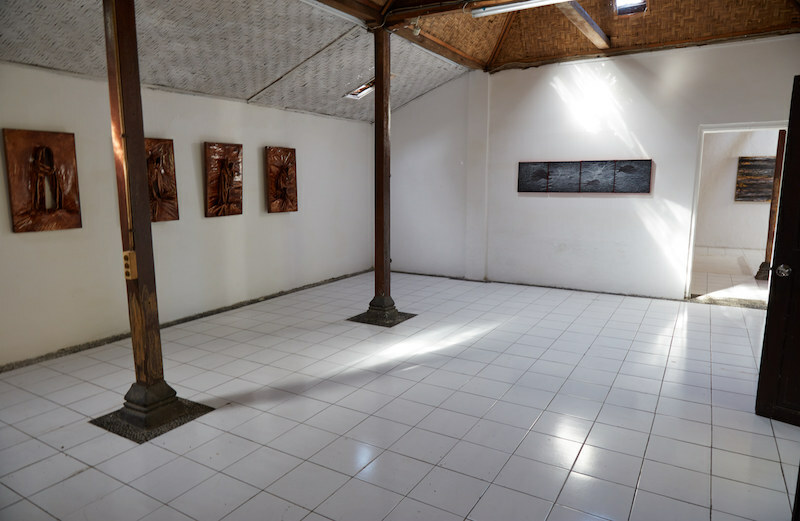 At the same time, they also regularly welcome foreign artists to come and display their work in Jogja. Conveniently located on Jl. Mayjen D.I. Panjaitan, the space is easy to find for anyone who finds themselves in Mantrijeron. 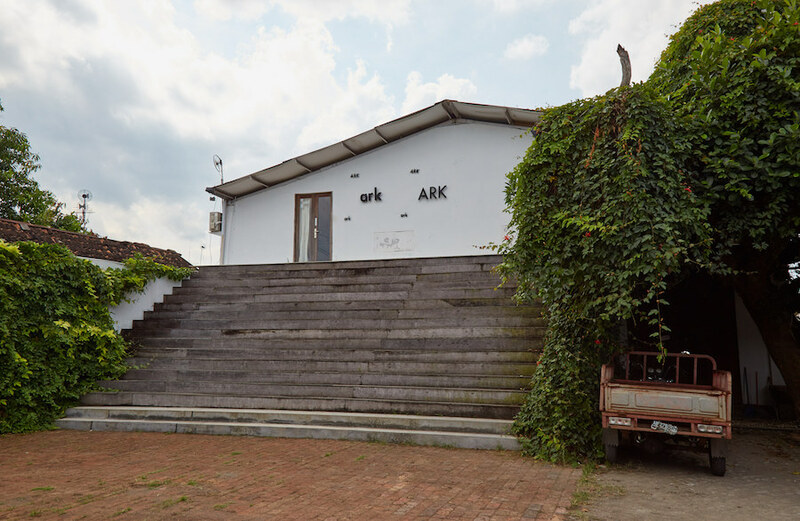 Kedai Kebun is a restaurant, art gallery and collective all in one. 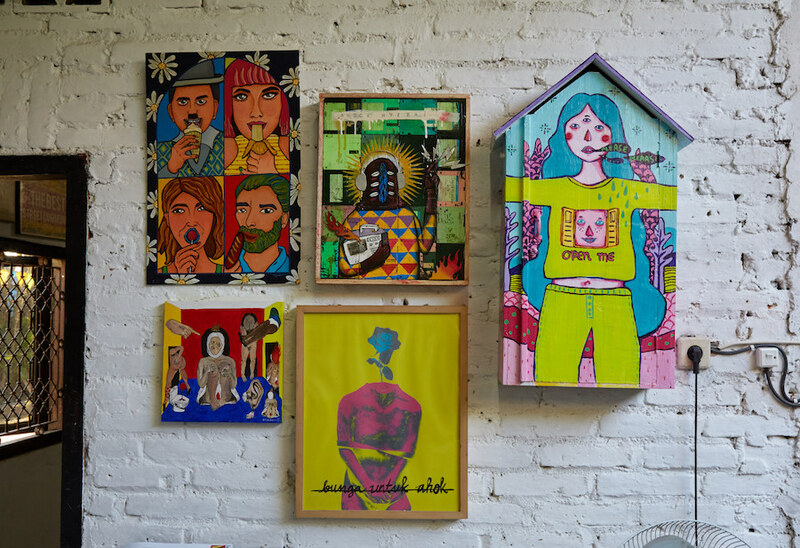 Established in 1996, the group provides a space for local artists who wish to eliminate the boundary “between high art and low art.” They see art as a social movement and believe that a vibrant community of alternative artists can help challenge long-held societal norms, while also bringing about positive change. Their restaurant has successfully funded the group since its inception. They hope to lead by example, inspiring other artist collectives to find new ways to raise income if they can’t do so by art alone. Kedai Kebun also sells goods by other local groups, such as DVD’s by The Papermoon Puppet Theatre. Stop by if you’re in the mood for either tasty Indonesian food or colorful art. The Langgeng Art Foundation, formed in 2010, is an organization founded to assist and promote promising domestic talent. 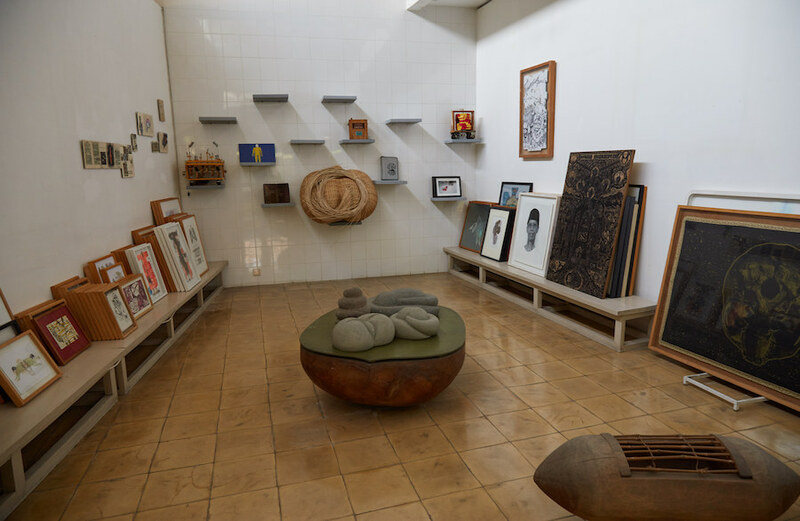 The gallery is one of the more modern and spacious in all of Yogyakarta. The first floor is home to some excellent surrealist paintings, but the upper floor was mostly empty during my visit. Considering ArtJog was about to commence, they were likely in the middle of preparation for a new exhibit. The LAF is conveniently located just by Ark Galerie and you can also stop to enjoy some Anagard murals just outside the entrance. This quiet area to the west of the city center may not look like much at first. 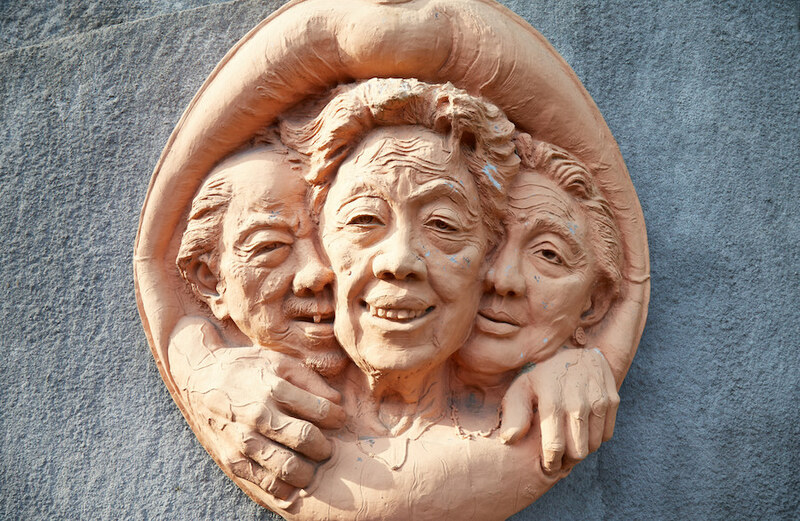 This rural area full of rice paddies and old houses, however, is actually one of the best places in the region to see contemporary art. A number of artists have moved out here because of the cheap rent, and naturally, more and more art spaces have been popping up as well. In between art spaces you can also enjoy some eye-catching murals on the walls. If the name ‘Bale Banjar’ sounds Balinese to you, then you’re not mistaken. 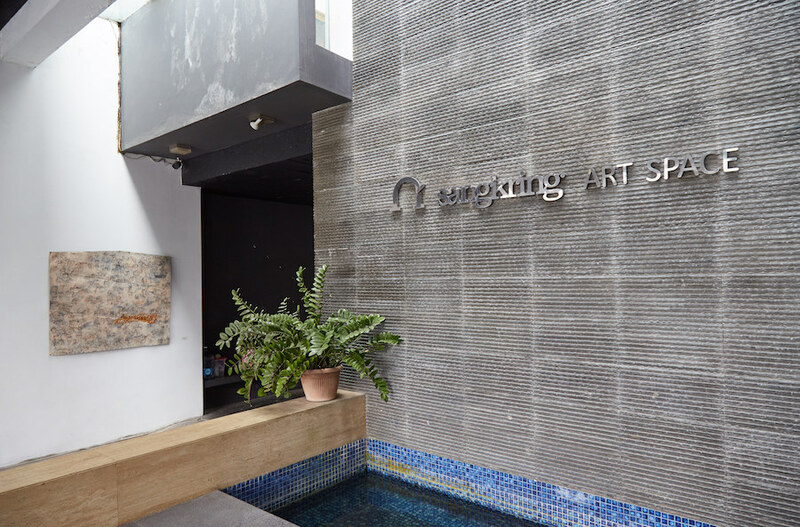 Also, simply known as Sangkring Art Space, the gallery was founded by Balinese artist Putu Sutawijaya in 2007. 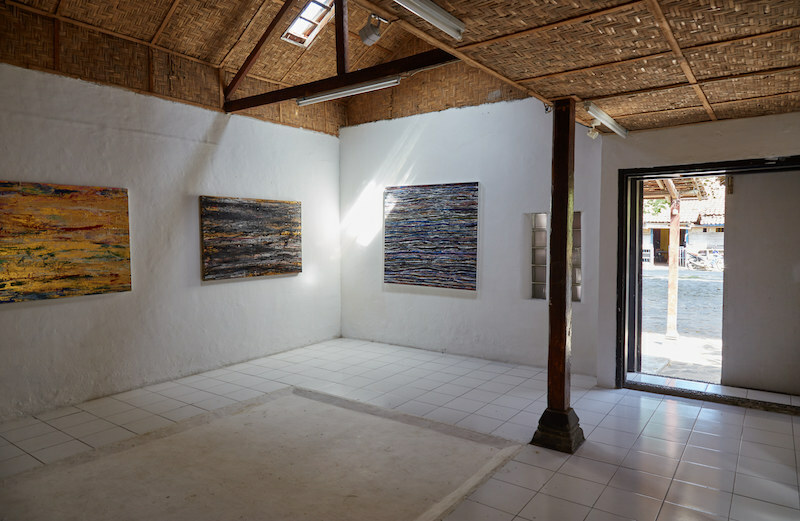 ‘Bale banjar’ is the Balinese term for ‘local community association,’ and Sangkring’s founder has expressed traditional Balinese life and rituals as one of the main inspirations for his art. 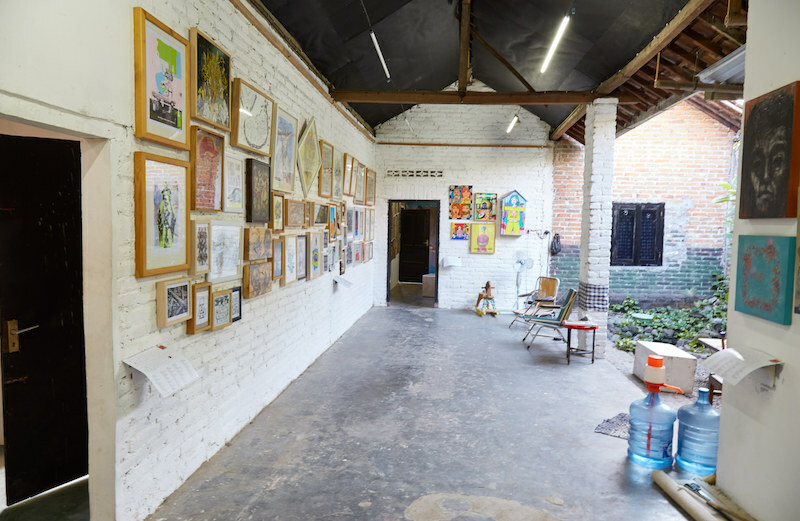 The art displayed at Sangkring Art Space, however, is anything but traditional. This is a great place to check out paintings and sculptures if you’re a fan of a more surrealist style of art. Sangkring is also one of the larger independent galleries in the city, so there’s plenty to see amongst multiple buildings. 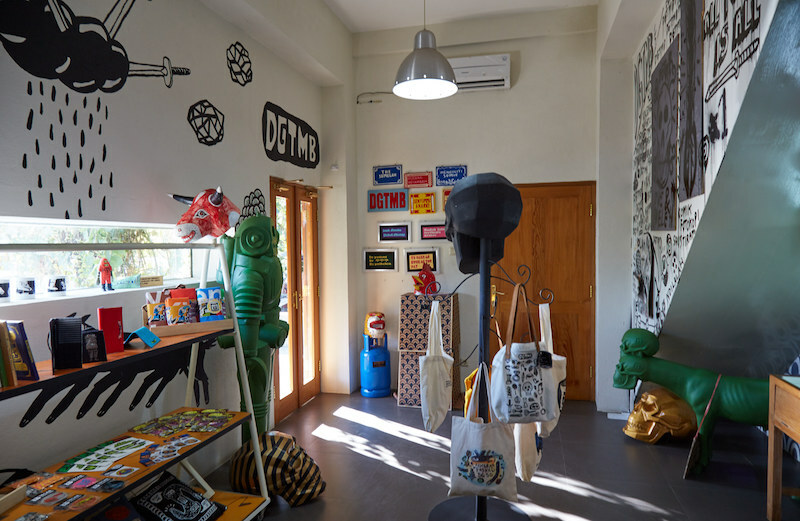 DGTMB is a project by local artist Eko Nugroho. The project is an underground comic book series of sorts, featuring dream-like monochrome drawings which also appear to be politically-tinged. While most of the books are in Bahasa Indonesian, the DGTMB Shop also sells some very cool merchandise. The funky T-shirts and bags can be appreciated by anyone whether or not they’re familiar with the books. If you’re looking for something unique to take home with you, this is a must-visit shop. 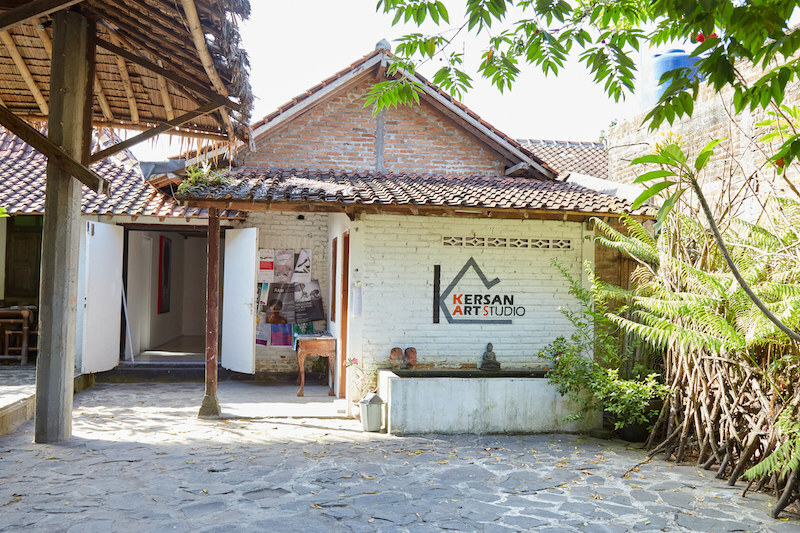 Kersan Art Studio was founded in 2009 with a goal of encouraging communication between different artists. Appropriately, the studio is situated in a peaceful and spacious building with an open-air common area in the middle. During my visit, there were several people having a meeting in the common area, while it was also possible to meet a some of the artists whose work was being displayed. Kersan is an excellent place to enjoy abstract art in a friendly and open environment. Also located in the area is Museum Dan Tanah Liat, which was unfortunately closed in preparation for ArtJog during my visit. The space was founded in 1998 by artist Ugo Untoro. 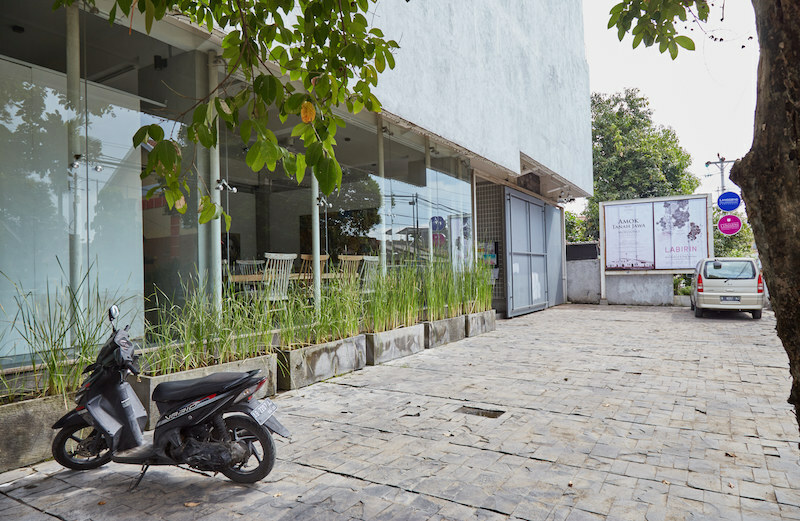 The museum helps promote the work of relatively unknown, younger artists.Museum Dan Tanah Liat also regularly hosts workshops. SURVIVE! 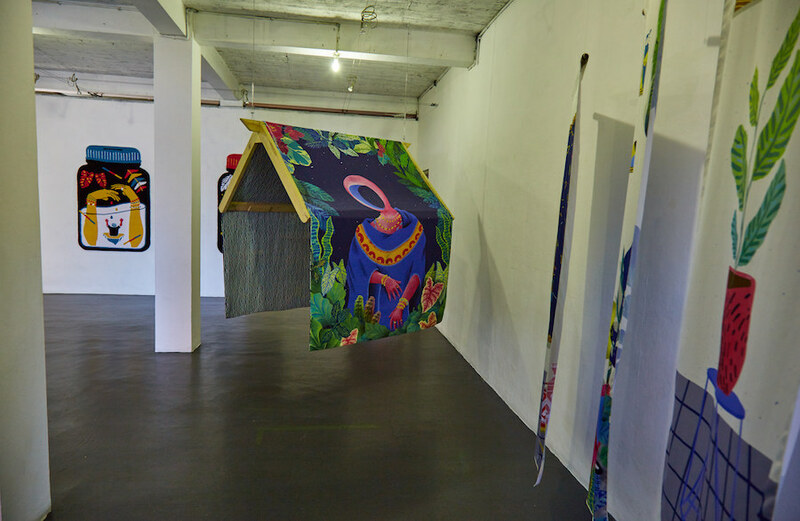 Garage is a respected art space and shop that also regularly hosts events. It’s one of the best places to purchase affordable art made by some of the city’s prominent local artists. If you can’t fit the artwork in your luggage, they also sell a great selection of t-shirts. Established in 2009, SURVIVE! 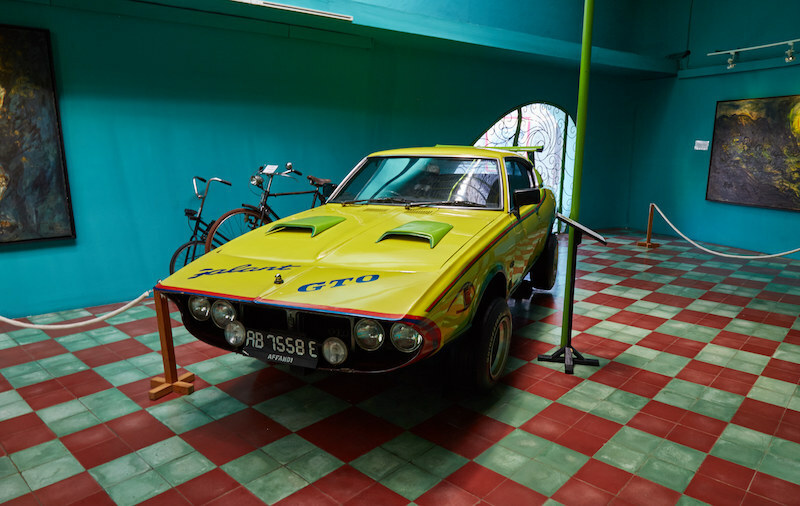 Garage is run by the artist couple Bayu and Fitri, who strive to give a platform for experimental artists who have difficulty gaining mainstream support. They also encourage networking to get likeminded artists to connect. “We call it SURVIVE! Garage because we feel the need to survive through our art,” they told me. 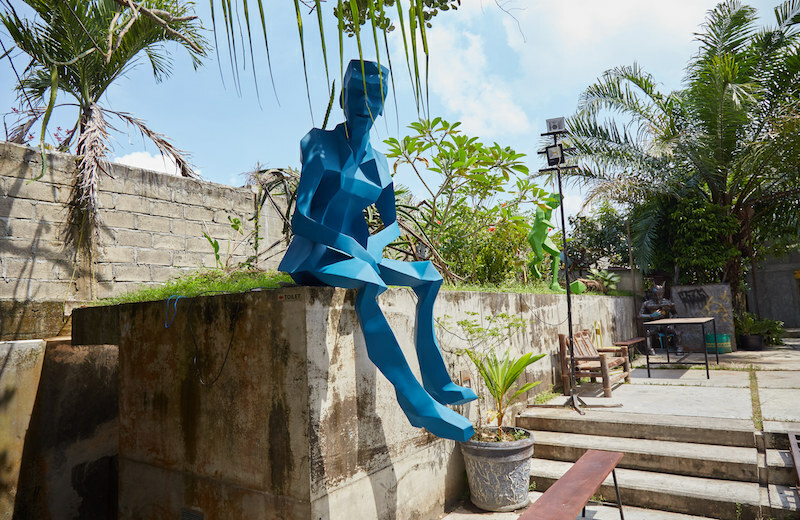 The area to the north of the sultan’s palace is not as well known for its art, but it is home to one of the city’s most important museums and landmarks: Museum Affandi. If you’re up for a long walk, you can also access another prominent art gallery in addition to some colorful murals around the stadium. 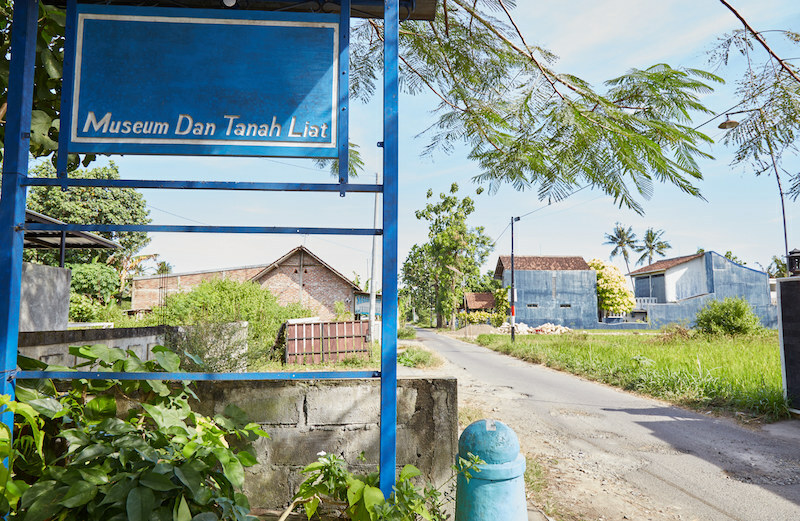 Located about a 10 minute walk from the Tugu Monument, Bentara Budaya is one of the city’s oldest art spaces. Founded in 1982, Bentara Budaya provides a platform for wood carvers and ceramic artists in addition to painters. 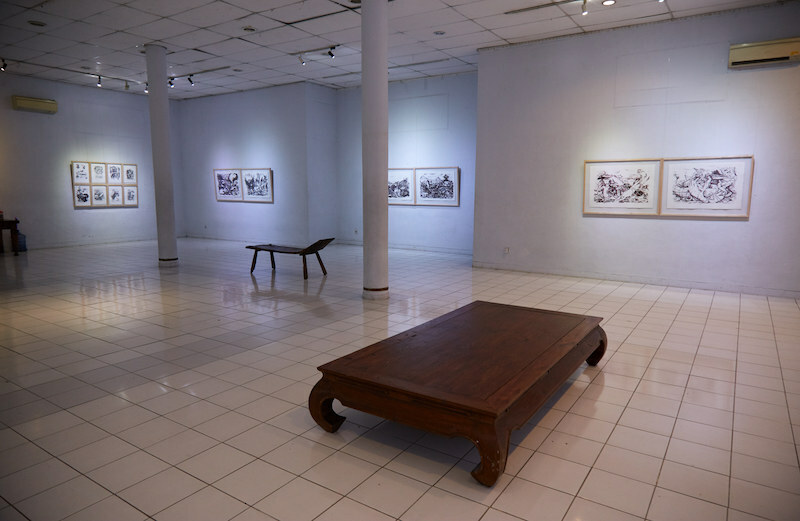 The gallery also has sister organizations in Jakarta and Bali. Additionally, the venue is also known for its weekly live jazz concerts that can be experienced for free. 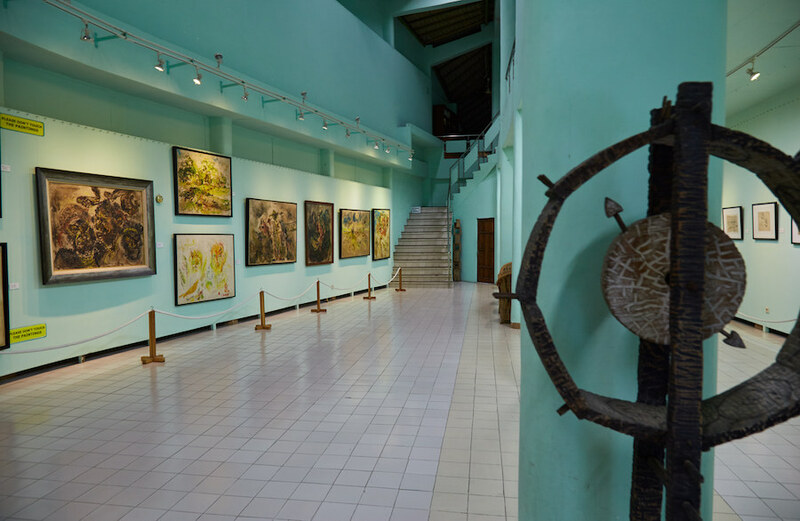 This museum is a different type of art space from most that you will find in Jogja, as it’s entirely dedicated to one artist: Affandi, the man who many consider to be the father of Indonesian contemporary art. 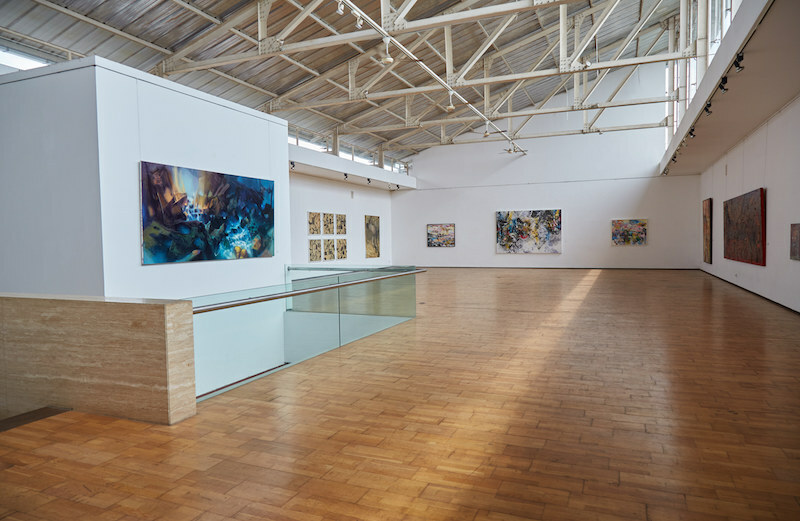 Affandi was not born in Jogja, but moved to the city in 1945 and worked at this space until his death in 1990. 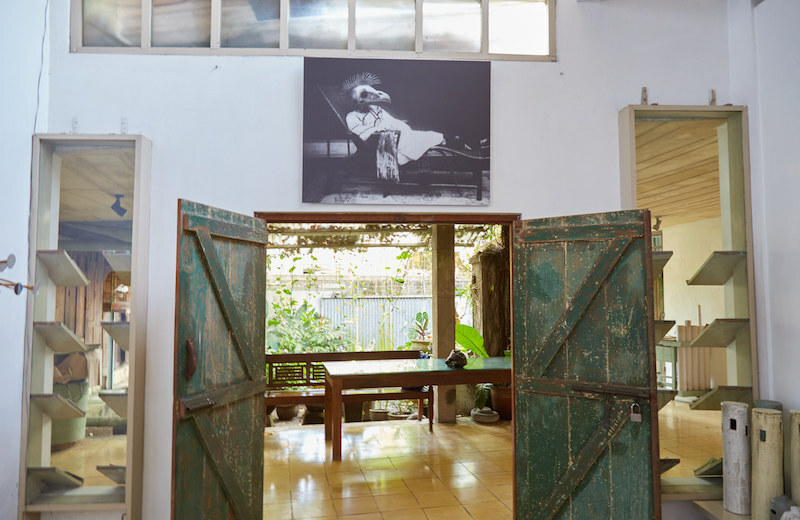 In fact, Museum Affandi is also the location of the artist’s own burial site. 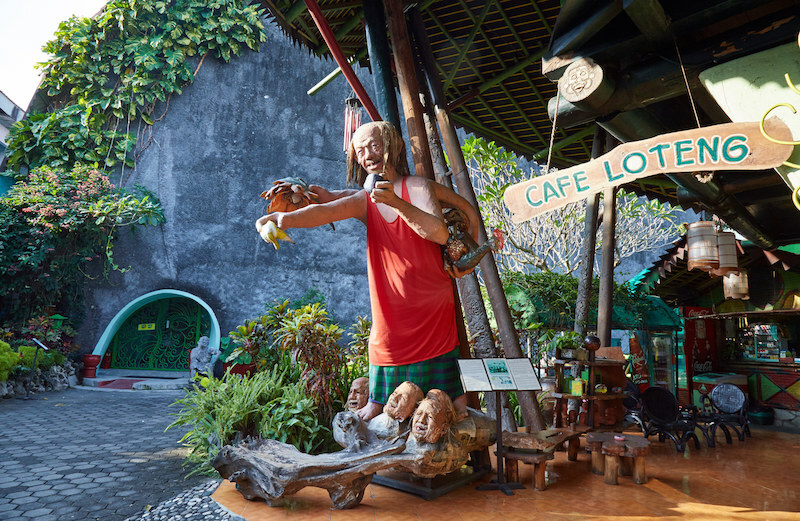 Museum Affandi is relatively far away from the city center. 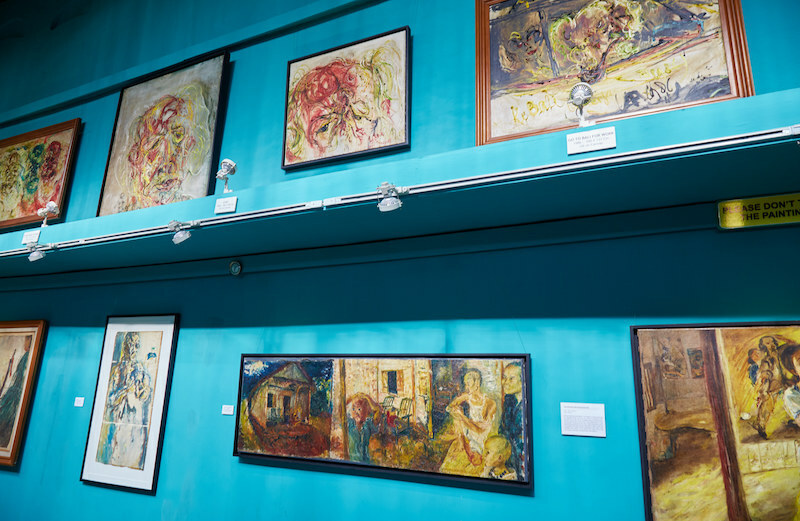 If you have limited time in Jogja, you may want to skip it if you’re not particularly fond of Affandi’s expressionist painting style. If you’re already a fan, though, then you definitely won’t be disappointed. If you’re unfamiliar with Affandi then I suggest you look up some of the artist’s work online before making the trek out there. If you’re going to Yogyakarta to visit art galleries, you should be aware that the term ‘art gallery’ is used very broadly here. Many of the buildings which display ‘ART GALLERY’ in big letters are actually shops selling batik or other traditional Javanese artwork. 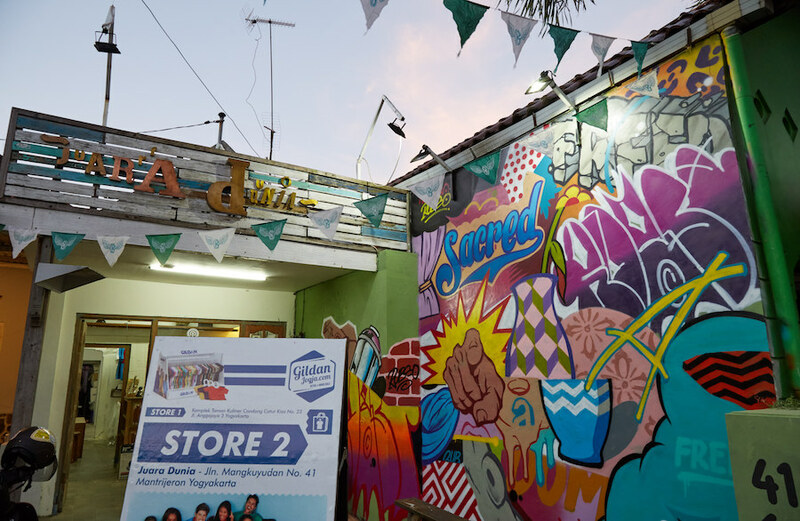 These are stores rather than art spaces like the ones listed above. That would be one thing, but unfortunately you’ll be approached by many touts during your walks throughout the city, trying to get you to come to their ‘galleries.’ They’ll likely ask you where you’re going or what you’re doing. If you tell them the truth, they might explain how they’re an artist and that you should come see their work. While I can’t say for certain about every case, these are often scams to get unsuspecting tourists to purchase fake or overpriced Javanese art. Even if they’re not scams, it’s unlikely these touts will have any knowledge of the art spaces listed above, so it’s best to just ignore them when possible. Many locals, and even people like the guide at the sultan’s palace, for example, will likely recommend you visit somewhere called the Ori Gallery. “All the other places are ripoffs,” they’ll tell you, “but the Ori Gallery is for real.” They’ll even try to convince you that you can help support the local arts scene by visiting! The Ori Gallery itself, in fact, is one big scam. While it is a real shop, there’s absolutely nothing special or legitimate about it compared to other places. It’s also strictly a traditional batik shop and not a place to view or purchase contemporary art. Yogyakarta is not a huge city, and despite its lack of a metro system, the city is easy to get around. Within a single area, walking is completely possible and reasonable. 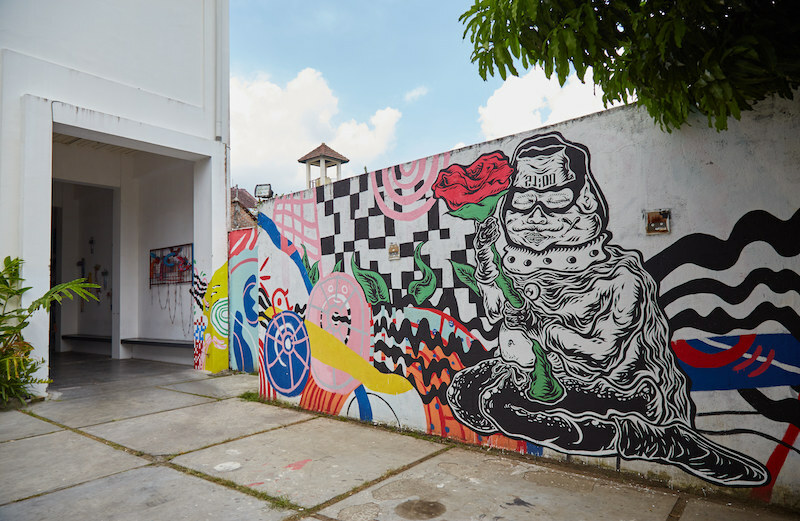 If you base yourself in the southern Mantrijeron district for example, you can easily reach all of the art galleries and street art there on foot. It didn’t matter because I could get everywhere using Grab. The cars would typically arrive in under 5 minutes and it was incredibly cheap. Getting from Mantrijeron all the way to Museum Affandi, for example, only cost me around Rp. 45,000 (roughly $3 USD). Most English information online will mention Malioboro Street as the place to be. It’s true that there are many hotels there and it’s a convenient location that will suit you fine. As mentioned above, though, I’d recommend staying further south, in the Mantrijeron district. Specifically, somewhere near Jl. Tirtodipuran or Jl. Prawirotaman streets. There are plenty of accommodation options here in addition to restaurants, nightlife and street art.